Biomass is rapidly becoming a popular and affordable option for both commercial and domestic heating customers. We have the skills and experience to specify your biomass heating system whether it’s a 20kW domestic pellet boiler, or a 500kW industrial plant room. The renewable heat incentive has now been confirmed by parliament, and the range of payments available to people has been made public. If you have a bio-mass boiler/cooker installed the payments are 12.2 pence per kilowatt hour. In order to be eligible to receive this payment you will need to have a green deal report carried out which will tell you how many kwh’s you will get paid for. The cost of this report is usually in the range of about £180, please contact us for the details of a recommended approved assessor. 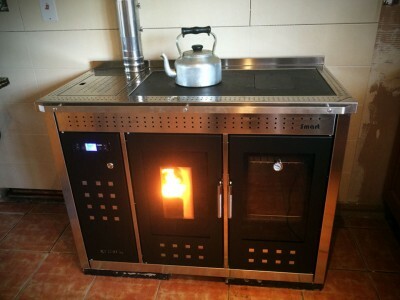 If you would like to see a working wood pellet boiler then please contact us or our partners at the TBS ECO CENTER in Daventry, Northamptonshire where they have a working renewable showroom. They have an indoor Trianco biomass boiler link that is fully operational, which you can view, and also an external display model which is ideal where space is a problem.